Guest Rooms Dune in Sarbinowo is a modern object offering accommodation on a high, hotel’s standard. An undoubted advantage is its location. Dune is located right on the beach on a sand dune, offering a wonderful sea view from the windows. We provide a friendly, family atmosphere; We guarantee successful holidays in every season. The first mention of Sarbinowo come from documents of 1309. Years ago, Sarbinowo laid more than 1.5 km. from the sea. 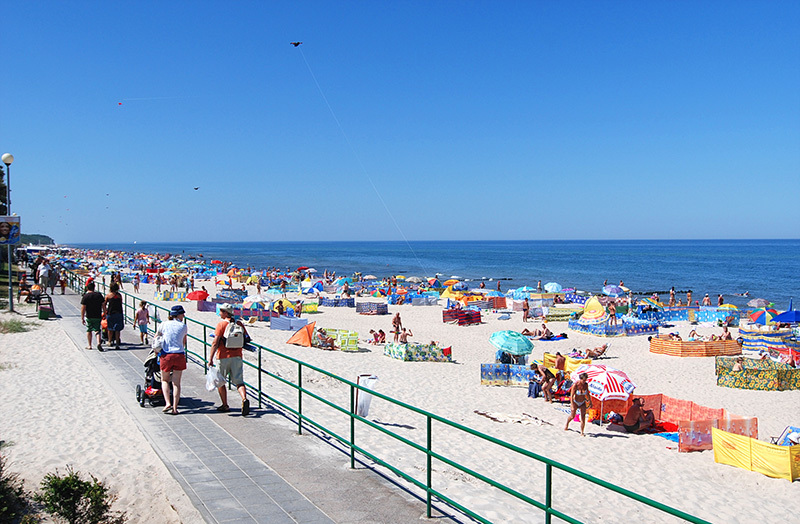 Currently Sarbinowo lies on the shores of the Baltic Sea. Before the First World War, the village was threatened annihilation, absorption by the sea. In 1910. They erected stone – concrete retaining wall length of approximately 1 km along the beach, which prevented further destructive action of sea waves. Tourist attraction in the village is the church of 1856. With a high tower built on the octagon. Inside, attention deserve new stained glass lancet windows. 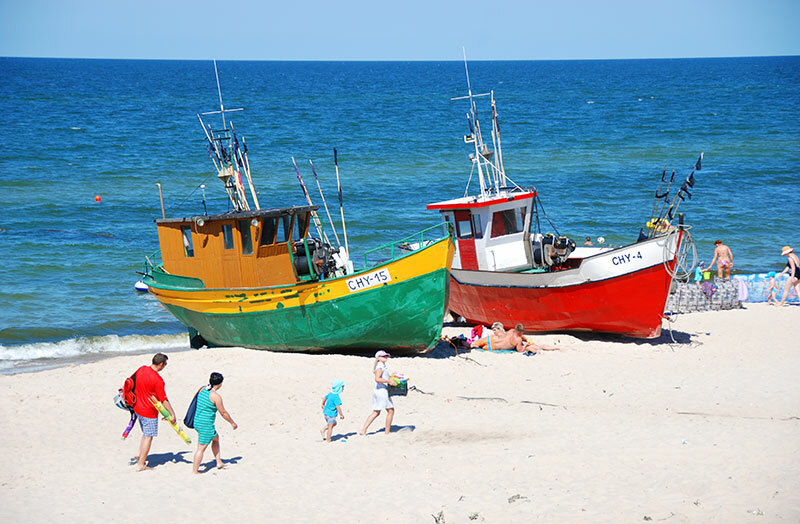 Guests can also take a trip to the fishing harbor in the Peasants away from Sarbinowo approx. 4 km (by car) and 2 km along the beach. In the morning you can watch here the fishermen returning from sea nets full of fish. The charming taverns, smokehouses and bars serving fresh sea fish prepared in different ways, making fishing harbors even more attractive. Fishermen in the Peasants is frequently visited by holidaymakers who want to eat fish fresh from the sea. There are also tasty sea fish smoked and fried on the spot. Lighthouse in Gaski is almost entirely built of brick. 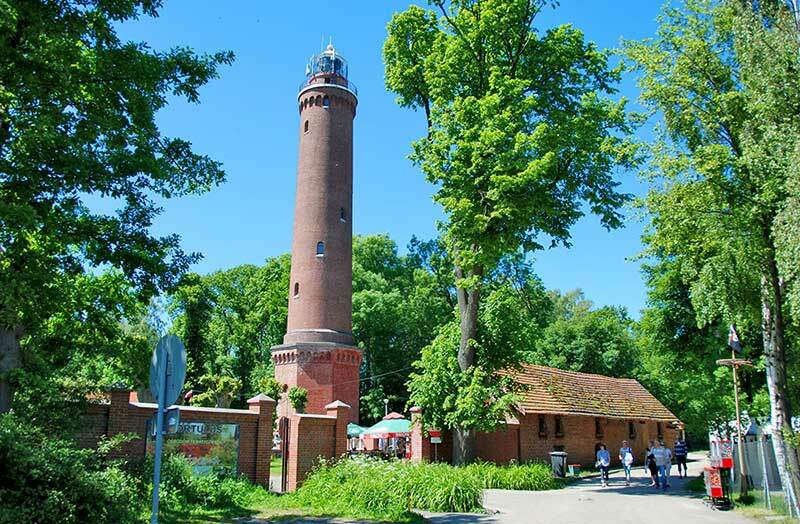 The fourth to the largest lighthouse on the Polish seaside has a height of 41.2 meters. Lighthouse Gaski is just 100m from the sea, on the edge of lying deeper in the inland village of Gaski, between Ustronie Morskie and Sarbinowo. Gaski is just approx. 3 km away from Sarbinowo.